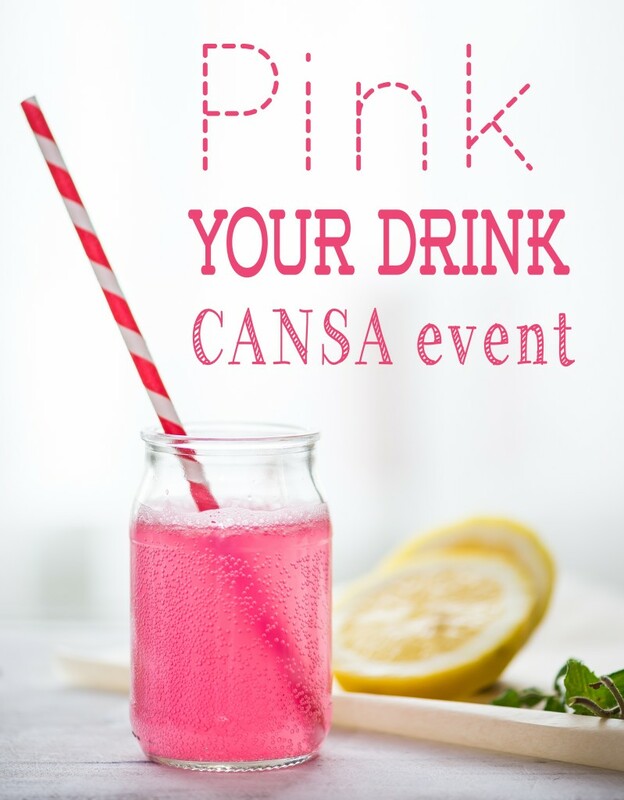 A couple of weeks ago I was invited by Sasha (founder of Face Value Academy) to attend an event she was organising called Pink Your Drink in aid of CANSA. I attended the tea party this past Sunday and was amazed at how well the event was organised. The event consisted of information sessions ranging from breast cancer awareness from a CANSA trainer, to styling tips from a style guru, to skincare tips from a Dermalogica expert. During these speeches, the ladies were treated to pink manicures, a special Dermalogica face mapping session, pink sparkling wine and the cutest pink-themed nibbles. Everyone went home with a goody bag and a Cosmopolitan magazine. Sasha spoilt me with a special voucher for a Dermalogica Core Skin Treatment, and Miemie (from Blendbox) sent me home with some of her very special products. There was also a special grand prize which included amazing Dermalogica products! Attending this event was such an honour for me because it was in aid of a great cause. All proceeds collected during the event was donated to CANSA. Face Value Academy aims to offer a safe environment for girls (aged from 10 to 16) to develop and grow with like-minded individuals. Through modern, fun & practical workshops, these girls will accumulate a variety of skills and values that will assist them to succeed and overcome barriers and challenges they face today (these challenges can range from being bullied at school, to dealing with a stressful home environment). Workshops will start in 2014 – for more information about these interactive workshops, click here. I really think these types of workshops will be so beneficial to so many girls, it kind of ties in perfectly with what I said in my Dove Real Beauty blog post here. I had such a fantastic time and met some really lovely fellow bloggers! I wish I had more time to speak to everyone but I didn’t get a chance, hopefully I’ll see some of you guys at the bloggers’ event in November. Sasha, thank you so much for inviting me to this fabulous event in aid for such a wonderful cause. Well done, it was a huge success! Sounds like such a lovely event, and for such a great cause! Anything including pink manis and pink drinks sounds like a hit to me! Sounds like it was a wonderful event, Luzanne. My family always donates to CANSA. That FVA for girls sounds like a good idea. That is so great that your family donates to CANSA! It was such a lovely event. I loved all the pink touches and the nail bar. It was for a good cause and I’m glad you invited me to support the event. Thanks. So wished I could’ve been there sounds fabulous. Sounds like you had a lovely pink time! Great post about the tips and what one should do! Sounds like such a fun event. What a great way to create awareness for an important cause! This sounded like such a cool event! Wish I could’ve attended it! Where is the next bloggers event in November and how do you get invited to it? We are newbie bloggers from Cape Town and would love to attend various events, do you have any tips for us or who we can be in touch with? Thank you for your sweet words! Your blog is super cute too!